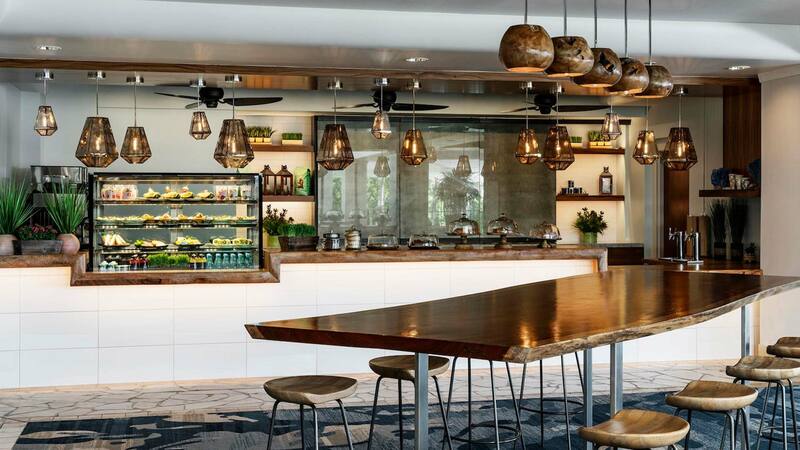 Aka`ula Lanai offers small plates, or grab and go bites for breakfast, lunch or dinner. 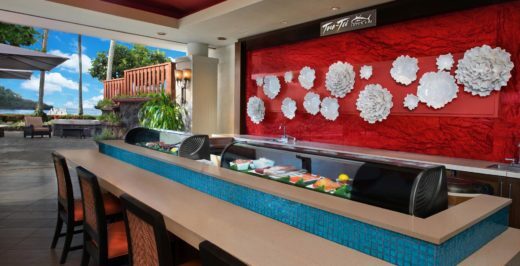 Take your order to go, or relax at Aka`ula Lanai’s seating areas – which include a cozy indoor space, as well as a terrace overlooking the pool and ocean. For those who want to connect, both areas offer complimentary Wi-Fi. 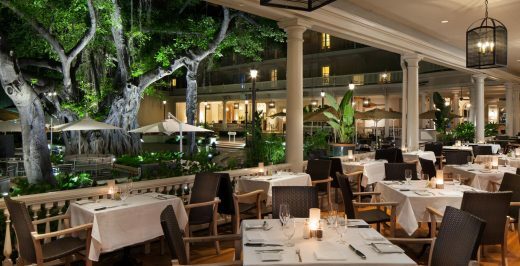 Enjoy breathtaking sunsets, when Aka`ula Lanai transforms into a casual retreat for cocktails, small bites and decadent deserts. 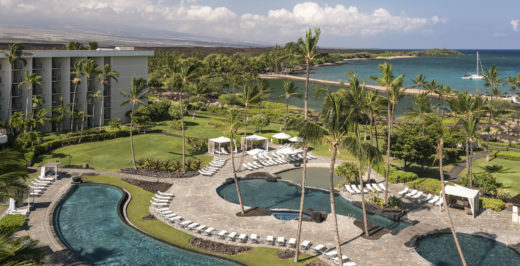 Marriott's Waikoloa Ocean Club is ready to make your Big Island vacation truly memorable. 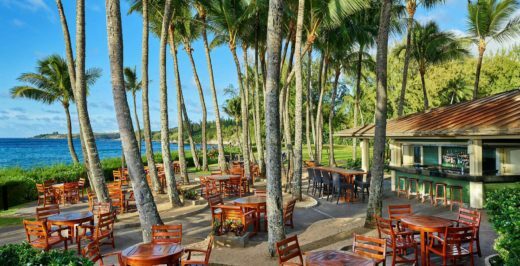 Our premium vacation ownership resort overlooks Anaehoomalu Bay and is co-located with the 15-acre Waikoloa Beach Marriott Resort & Spa. Our spacious suite rentals feature a separate living and dining area, washer/dryer, and free WiFi. 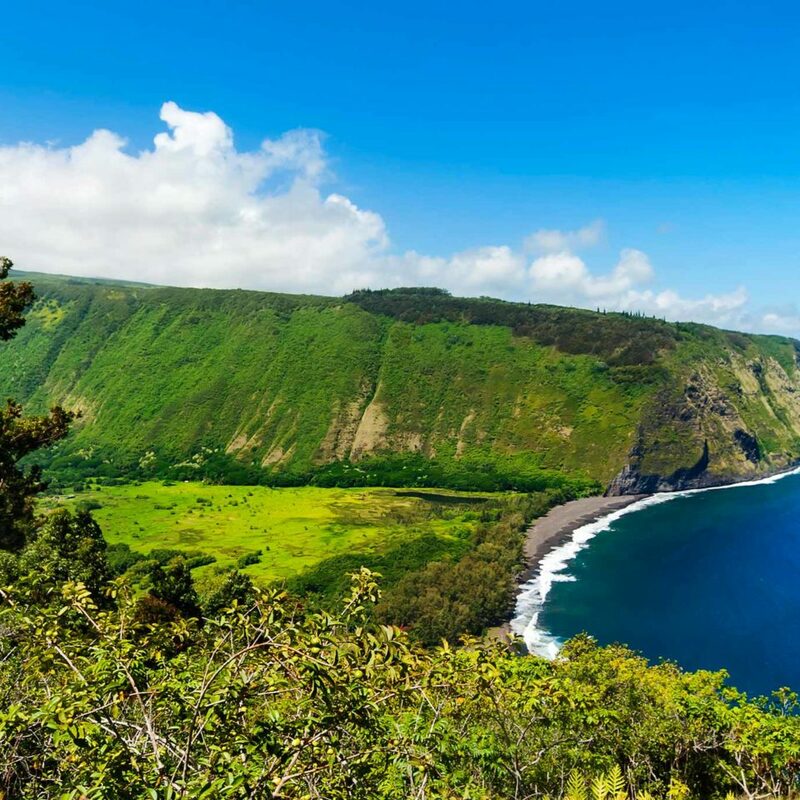 Rays on the Bay features sustainable Big Island coastal cuisine featuring farm to plate and hook to cook dishes.